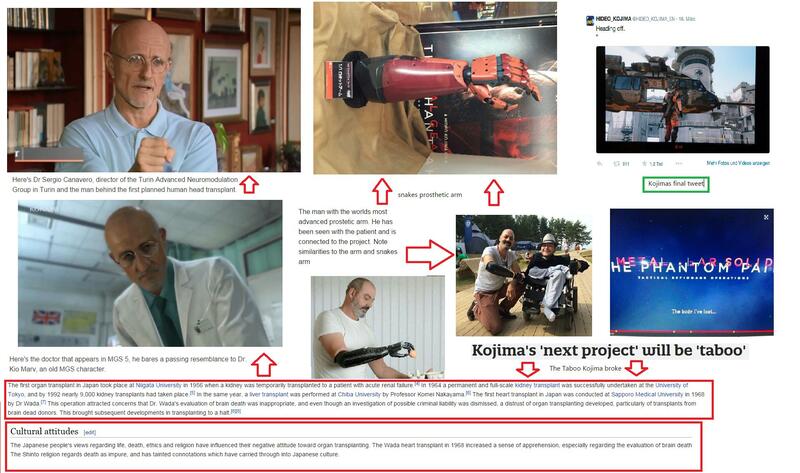 For almost a week now, some parts of the gaming internet have been going nuts over the visual similarities between the doctor that features in the trailer for Metal Gear Solid V: The Phantom Pain, and the controversial real-live Dr Sergio Canavero, the neurosurgeon who recently found sudden fame when he claimed that he was ready and able to perform the first human head transplant in medical history. He’s even found a prospective patient, a Russian called Valery Spirodonov, who suffers from a terminal muscle-wasting disease. Some of these connections that people were making were pretty good. Others were more like shooting at the wall and then painting a target around the hole: like the suggestion that Dr. Canavero might even not be a real doctor, but just somebody hired for the craziest viral marketing campaign ever. Mr Canavero is indeed a real doctor who’s published more than a hundred papers, and is actually a pretty familiar face here in Italy. In 2008 he managed to wake a patient from a vegetative coma using a technique of his own invention. 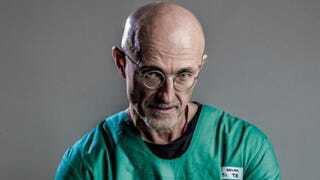 This was widely reported in all the major newspapers in my country because it happened right in the middle of a chain of events involvingPiergiorgio Welby and Eluana Englaro, two of the most-discussed euthanasia cases of that time. To be clear: if this were all some crazy marketing plan, that would mean that Canavero had been taking the piss out of the entire world, including the press and the whole medical community, for over a decade. He would hardly be the world’s first fake doctor, but to plan all of that for the sake of marketing a video game? That’s too fucked-up to believe. Even by Kojima’s standards. But just to be sure, I called him up. On the other end of the phone I found an extremely friendly person who immediately thanked me for contacting him. During our conversation, Dr. Canavero told me that he was shocked by how similar to him the Metal Gear Solid character in the videos was, from his appearance right down to the mannerisms. He mentioned this more than a few times during our phonecall. He also seemed very interested in how much Metal Gear Solid V might be worth. At one point, suddenly asked me: “By the way, do you know how much this game is going to cost? And how many copies will it sell?” When I estimated that it’ll sell maybe 4 million units at 60 euros a pop, he started laughing. Towards the end of the call we talked a lot about his HEAVEN project. Dr. Canavero really is one of the most passionate people I’ve ever talked to. He couldn’t wait to explain things to me – things that I’m far too medically uneducated to understand. I definitely got the impression that he’s rather enjoying this sudden burst of popularity. I asked him if he thought the whole situation had already affected his image or had any repercussions. Gabriele Galliani is an Italian journalist who writes for Official PlayStation Magazine, Byte Size Impressions, and more. Find him on Twitter.